A purpose-built and probably proven sheet piling interlocking sealant, WADIT is an all-natural, environmentally friendly sealant that was developed to deliver robust water-stopping protection, and is the only professionally installed sealant system. CLICK HERE to learn more. PilePro offers a line of innovative modular sheet pile connectors which replace traditional fabricated connectors with a one-piece, extruded, seamless steel profile. CLICK HERE to learn more. 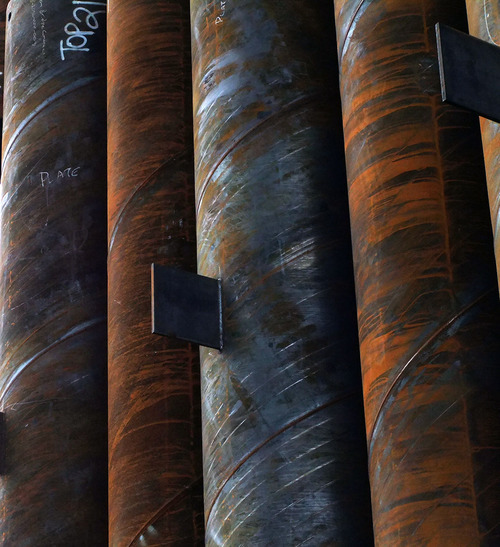 The O-Pile System is a comprehensive pipe-to-pipe (continuous) or pipe-to-sheet pile (combined) solution -- from connectors to installation method - that has quickly gained recognition as the most efficient, high capacity solution for retaining structures in today's marketplace. CLICK HERE to learn more.